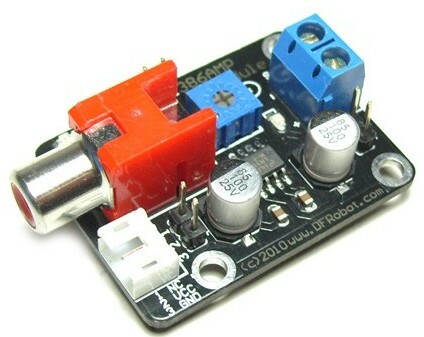 This DFRobot 386AMP audio amplifier module uses the National Semiconductor LM386 audio power amplifier chip. It has 20 voltage gain. 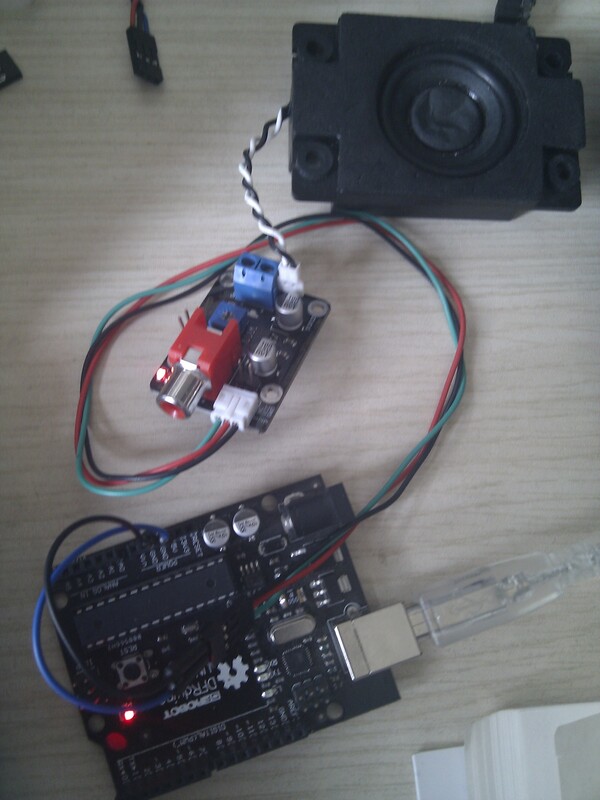 In this example, we attached the module to Arduino to power it up, and used some external audio to provide some audio sample, but we actually tested it as well with some noise from a wire we had around. 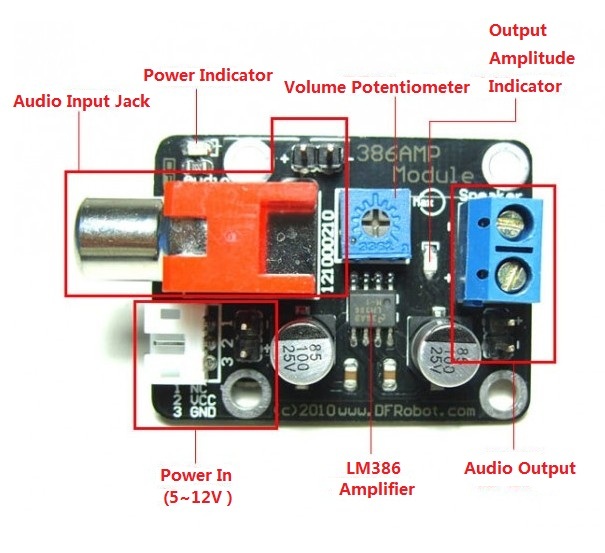 Get 386AMP audio amplifier Module from DFRobot Store or DFRobot Distributor.